While it was expected to contribute to improved media pluralism, digitalization of television in Macedonia seems to have fallen short of attaining its goal, especially when it comes to contents aired by the media. On 1st June 2013, most households with older models of TV sets using antenna to receive television channels had to purchase an individual device or new TV set to continue watching television. This one-time cost should have enabled citizens to receive better and quality image and sound, as well as multitude of new opportunities that digitalization brings. Nevertheless, from this multitude of opportunities, average viewers do not have access even to basic features such as teletext, in particular by the public broadcaster Macedonian Radio and Television, which is not the case with national televisions across the region. Snezana Trpevska, PhD, professor at the School of Journalism and Public Relations, is not satisfied with this process. She says that answering the question about the manner in which digitalization of television has been pursued in our country cannot be confined only to the technical and technology success achieved by this process. 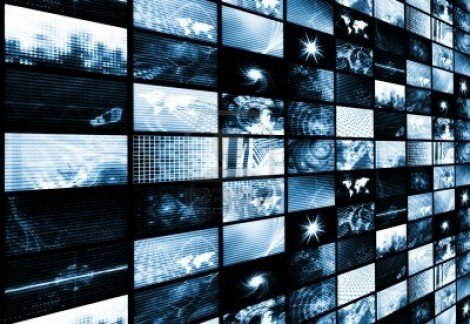 “On the contrary, we need to first answer the question whether digitalization has attained or has enriched pluralism in all its aspects, whether freedom of expression has increased and whether citizens’ access to various information through different TV channels on national, regional and local level has increased”, says Trpevska. The digitalization process, as an obligation imposed by the European Commission, was planned under the 2007-2012 Strategy and was to be implemented and completed pursuant to the action plan attached to the strategy. The process on strategy drafting had been transparent, with involvement of many experts, but experts said that the then-current establishment at the Ministry had rejected the strategy due to political reasons. “Digitalization was performed in an utterly different manner from what had been planned under the first scenario. The process was delayed and was then rushed one day prior to the deadline expiration”, emphasizes Trpevska. As a consequence, she said, many citizens living in areas where they could have access only to terrestrial domestic channels were no longer able to receive the signal. The Agency for Electronic Communications (AEC), by means of public tender, selected One – Telecommunication Services LTD Skopje to operate the digital signal and, in June 2013, the company assumed the obligation to air terrestrial televisions from Macedonia. These televisions were obliged to present the Broadcasting Council with applications to amend their permits, so they could later sign contracts with One for digital transmission. Televisions indicated that the fee is set too high, and that the operator does not deliver services it charges them. “Annually, we pay One around 1,070,000 MKD and around 460,000 MKD for permits issued by the Agency for Audio and Audio-Visual Media Services (AAVMS). This amount is too high given that territories where our programme is broadcasted are very limited, economically underdeveloped, characterized by unfair competition and the like. Personally, I am not satisfied with the operator”, says Mevaip Abdiu, owner of the regional TV Koha from Tetovo. “The key fact about digitalization is that it came at the wrong time. The main shortcoming lies in the existence of single operator and absence of competition in terms of prices”, says Violeta Kozinkova, editor-in-chief at TV Iris from Stip. In addition to regional televisions, One has committed to broadcast national televisions with terrestrial permits: TV Sitel, TV Kanal 5, TV Alfa and TV Telma. On the other hand, the Macedonian Broadcasting (MB) operates only the public broadcaster’s digital signal, airing MTV1, MTV2 and the parliament channel. Experts said that a digitalization pursued in such manner amounts to creation of classic monopoly, sponsored by the state. “One of key shortcomings affecting digitalization is the fact that One holds a monopoly, which means it is in position to increase fees for transmission of national commercial televisions at any moment”, says Sefer Tahiri, communications expert and university professor. Professor Trpevska warned that unless this process complies with certain principles and rules instituted by competent institutions and regulatory bodies, there is a major risk of further market monopolization. “This would imply decreased media pluralism, restricted free flow of information, reduced cultural and language diversity, etc.”, she asserts. Connoisseurs of these matters are convinced that MB, benefiting from significant portion of funds collected as broadcasting levy from households, has sufficient capacity to transmit more than three channels. That would contribute to reduced fees for digital signal transmission collected by the private operator and would ensure content pluralism in terms of presentation of various opinions and policies. High prices have compelled several regional televisions to waive their contracts with One and transfer to cable operators. “By August 2015, our television paid 350 euros for monthly signal transmission, in MKD counter value. Annual fees amounted to around 15,000 euros. In addition to annual fees, at the onset of digitalization we had to invest another 15,000 euros for procurement of encoder. In the first two years, total costs for digitalization of our media implied an additional cost of 55,000 euros”, says Violeta Kozinkova from Stip-based TV Iris. Kozinkova said that the transfer to cable operators resulted in reduction of annual costs by one third. However, that decision has caused them additional problems. “We are available only to viewers living in urban and suburban rural areas where cable operators are present, but not in the villages. We depend on individual contracts with cable operators for each municipality, which might extort us in terms of transmission price”. 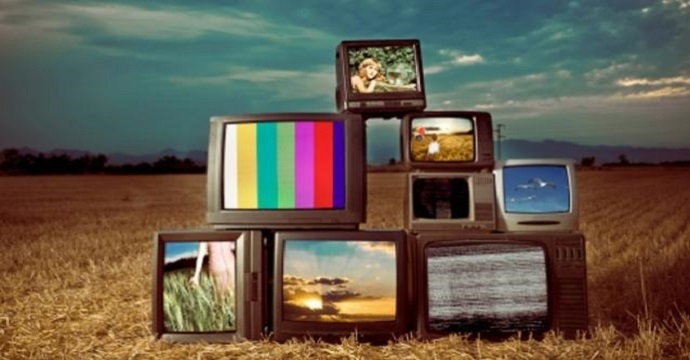 Deputy director at AAVMS, Milaim Fetai, confirmed that last year several regional televisions have presented them with applications for new permits, whereby they would be able to broadcast their programmes through cable operators. “Once they were granted new permits, they waived the old ones”, adds Fetai. WHO STANDS BEHIND THE OPERATOR? As of 25th September 2015, the operator One merged with its competitor Vip, thus creating a joint company which is recorded at the Central Register of the Republic of Macedonia under the title “Company for Telecommunication Services ONE.VIP LTD Skopje”. The previous owner of One, Greek Cosmote, sold its franchise in Macedonia after it had been taken over by Deutche Telecom, which is also present in the Macedonian market as the owner of Macedonian Telecom. The new company called One.Vip is registered in ownership of Telecom Slovenia JSC, seated in Ljubljana, and the Austrian company Mobilkom Mazedonien Beteiligungsverwaltung GmbH, seated in Vienna. The former holds total monetary investment of 301.2 million euros, while the latter accounts for around 124.5 million euros in equity. According to official documents, being a new company, it has still not submitted its annual balance sheet and its profit and loss statement. In its written response, One.Vip stated that they are aware of financial difficulties faced by televisions from the onset of digitalization. Striving to secure as bigger as possible benefits for TV programme services, they said that the company “in the previous years, beyond its tender-mandated obligations, has secured additional discounts of up to 36 percent against the tender-guaranteed fee”. “The annual fee has been set as part of the tender procedure in an amount of 4,836,000 MKD/Mbps for national transmission and 632,400 MKD/Mbps for regional transmission. In order to achieve quality reception, it is necessary to secure flow bandwidth of 2 Мbps, which would imply an annual fee in the amount of 9,672,000 MKD for national transmission and 1,264,800 MKD for regional transmission” reads the response. In spite of experts’ criticism, representatives from One.Vip said that they have secured 94 percent coverage of the territory of Macedonia with digital signal. “At the moment, DVB-T platform of One.Vip transmits 5 national and 16 regional TV programme services. Coverage of households is at a very high level of 94 percent, thus surpassing the tender-stipulated obligation set at 80 percent. In that, we have met and surpassed all expectations defined as digitalization goal” claims One.Vip. The company believed that the tender awarding procedure had been completely transparent. “In the first attempt, two bids were submitted to the public tender announced: one from One Telecommunication Services LTD Skopje and the other from another entity, resulting in the acceptance of the bid submitted by the second entity. However, due to non-compliance with deadlines set under the tender procedure and the other entity’s withdrawal, the tender procedure was annulled. In the second attempt, One again participated in the tender procedure and submitted a bid that was accepted by AEC, whereby in November 2012 it was selected as the winning bidder to implement the procedure on digitalization of national and regional TV programmes”, reads the response. Nevertheless, Tahiri said that even One, although charging fees, fails to ensure complete signal coverage on the territory of the state. “There are numerous rural areas that have not been covered with digital signal, thus forcing citizens to subscribe to cable operators in order to receive channels they could not watch free-of-charge, although they are entitled”. Political influence on the work of operators and on the media is assessed to be high. This, according to experts and media workers, further threatens the democratic communications. “Of course, ruling authorities have great influence on the media and the operators, but there are certain entities that do not succumb to such influence”, says professor Tahiri. In his opinion, digitalization should not only improve the technical aspects, but should also have positive effect on media space democratization. “I think there is no such balance. Digitalization as a process, however, cannot directly deter the media from their servitude to ruling authorities or from acting as spokespersons for the economic, commercial or even personal interests of media owners”, believes Tahiri. 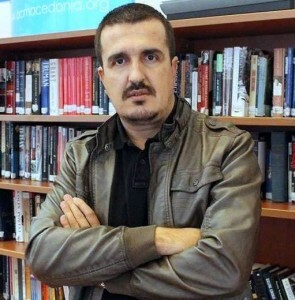 Toni Ajtovski, director at the local TV Kanal 8 from Kocani, said there are many new regional televisions that are under full control of the ruling authorities. “In practice, it is a matter of particular type of purposeful media outlets intended to market somebody’s ‘truth’ and therefore clear is who is able to ‘regulate’ their behaviour in the media space and on the media service market in general”, says Ajtovski. According to Abdiu from TV Koha, politicians – for the most part – are also concealed owners of several media outlets in Macedonia broadcasting at local, regional and state level. “Everybody knows that, but the regulatory bodies are reluctant to take action as they have been delegated or appointed to these offices by political elites and parties”, he adds. Abdiu said that the operator One “holding monopoly in this business, instead of being held accountable for its operation before AEC (Agency for Electronic Communications), is actually protected by the latter”. Kozinkova from TV Iris, believed that the mere fact of digitalization having increased costs incurred by televisions, has rendered them susceptible to political influences. “It is difficult to assess whether digitalization has improved democratic communications or not, but certain is that it has indirectly reduced financial power of the media and their ability to purchase new equipment or to increase salaries for their employees. On the other hand, that increases the media’s financial dependence which could make them susceptible to business and political influences”, says Kozinkova. 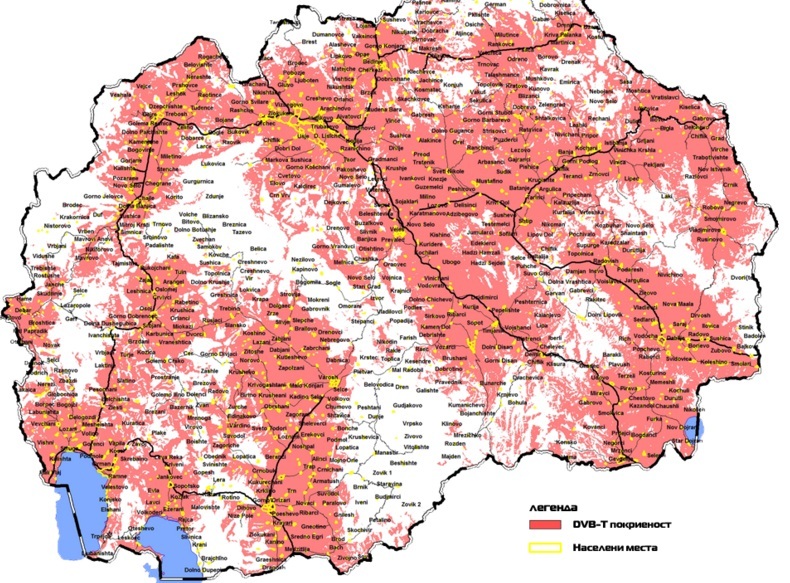 Data from the Employment Agency of the Republic of Macedonia (EARM) published in the 2014 market analysis indicate that 90 percent of households are connected to some public communication network, 6.2 percent have digital terrestrial antenna, 3.2 percent have individual antenna, 0.1 percent do not have a receiver, while 0.5 percent do not know how they receive their TV signal. According to the experts, the fact that vast majority of households have been connected to closed platforms with high competition of channels, in its own right reduces the function and role of domestic broadcasters, which should be the holders of cultural identity. Professor Tahiri believes that changes are needed to legal regulations, as well as improvements to digitalization as a process. “There must be intervention in legal regulations with a view to stipulate more rigid criteria on issuing licenses to national media, while the Media Agency should closely and carefully monitor this process and indicate the shortcomings”, he says. Professor Trpevska said that the regulator should regularly assess the situation concerning pluralism of contents and take measures if there is no diversity. “The law stipulates that its role [the regulator] is to ensure independence and diversity of the media. It means that its primary role is to ensure and to develop pluralism. Specific competences for the regulatory body should be introduced in the Law concerning assessment of the situation with pluralism in general and the situation with political pluralism in particular. All aspects of pluralism: internal (with each media individually), external (with all media as a whole), during the election campaign, and beyond the elections”, says Trpevska. Nevertheless, AAVMS’s deputy director, Mr. Fetai, is decisive: “There is no need to change regulations”. According to him, for the purpose of timely digitalization, necessary changes were made in 2013 to the then enforceable Broadcasting Law. “At that time, legal conditions were created for the regulatory body, which at that time was called the Broadcasting Council (currently the Agency for Audio and Audio-Visual Media Services), to implement the entire process on replacing the licenses in an unhindered manner. In that, the adequate legal framework has helped in attainment of the democratic right to freedom for receiving and imparting information”, asserts Fetai. He is convinced that the current Law on Audio and Audio-Visual Media Services is aligned with the EU Directive on Audio and Audio-Visual Media Services. Media representatives, however, did not share this opinion. This position was particularly prominent among regional televisions, which have suffered the most from the financial blow they sustained with the digitalization process. “Although it may be late, costs for signal transmission through digital terrestrial multiplexes should be reduced, thus allowing more media to benefit from the opportunities it offers”, says Ajtovski from TV Kanal 8. Violeta Kozinkova from TV Iris argued that it is necessary “to encourage a debate on legislative changes that would protect citizens from rural areas, because currently they are exposed only to information provided by a single media outlet in the region”. Abdiu from TV Koha said that changes are needed to the regulations in the part related to the operator’s monopoly. “We believe that the state should allow the broadcasters to be able to manage digital platforms at local and regional level. Moreover, correction should be made also in terms of the price, as the operator One now incurs lower costs compared to the costs in the first year of operation when it made investments in transmission equipment”, believes Abdiu. Next Next post: Business and politics in the media: Are reforms possible?